This past weekend, Chicago came out to pay their respects to Whitney Houston with a special tribute. 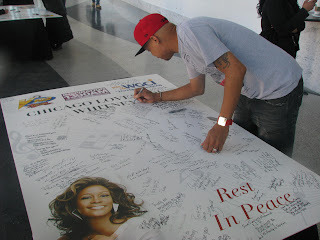 The gathering took place at the Harold Washington Cultural Center and it was hosted by WGCI's Tony Sco and V-103's Herb Kent. Throughout the ceremony, the community said their goodbyes by film, signing cards and more. They also had the opportunity to stay and view the funeral of the late singer from a live screening. Afterwards, Houston's fans were still in shock the superstar was gone and passed; however, they were more than happy that they came out to share their fondest memories of the singer during the special tribute. Whitney Houston "We Will Always Love You!" Last night, Chicago's single women and men came out to celebrate Valentine's Day with WGCI. 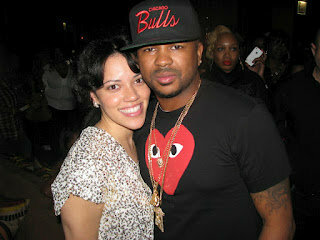 The event took place at Vertigo Sky Lounge and it was hosted by Loni Swain and ATL's The Dream. Throughout the night, Swain greeted her loyal listeners with smiles and hugs while DJ 33 1/3 rocked the crowd on the dance floor. She also got her guests to participate in fun games while her co-host The Dream played along and took pictures with fans before leaving the building. Pics after the jump.